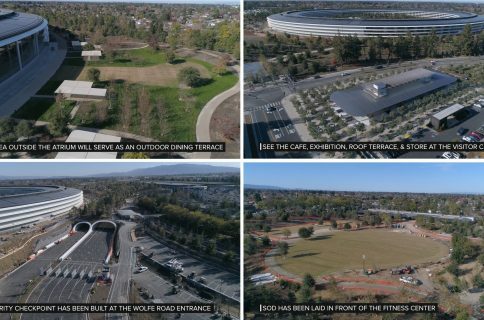 Ahead of today’s WWDC 2018 keynote, drone pilots and videographers Duncan Sinfield and Matthew Roberts both posted their birds-eye footage of the new Apple Park headquarters. 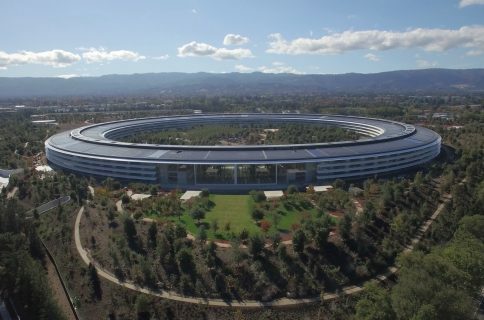 Apple Park was designed to be home to 12,000 employees. 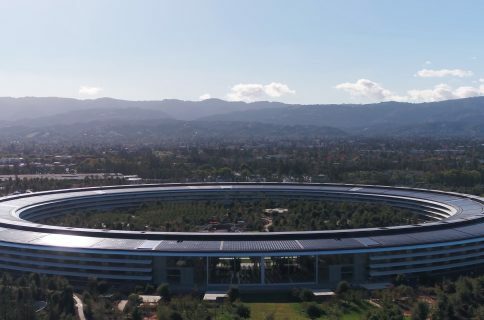 Despite having opened Apple Park in April of last year, the company is continuing to gradually relocate the employees from the old 1 Infinite Loop headquarters to the new flying saucer-like building. 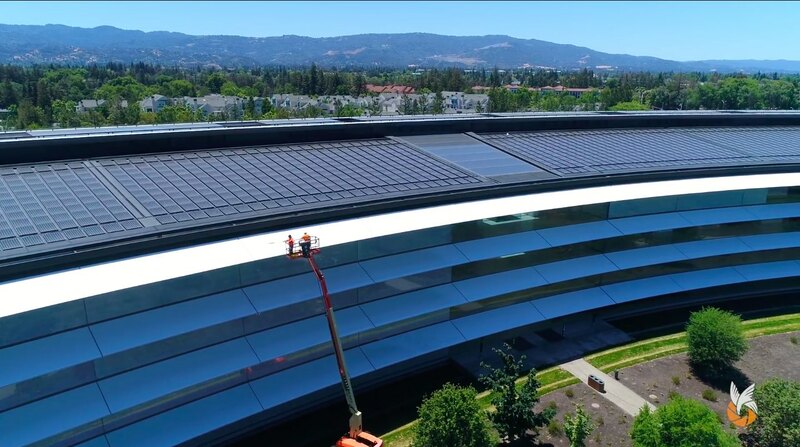 The amount of detail paid to keeping the main Apple Park building clean is surprising. In one of the videos, we can clearly see workers washing the window shades. These cleaning crews are available around the clock and are said to clean the window shades in the central courtyard of the ring-shaped building at least once per week. We see especially notable progress being made in the amount of trees planted, with some 9,000 trees now permanently planted on the 175-acre site. And now, watch Matthew’s drone video. Like all drone videos from Matthew, this one was filmed with a Phantom 4 Pro. Sinfield previously warned that tight security around the perimeter makes it increasingly difficult for drone pilots and videographer enthusiasts to film the site. It may be only “a matter of time until the campus becomes shut-off to drones completely,” he cautioned. In February, Apple’s corporate address changed to One Apple Park Way. Apple’s Worldwide Developers Conference is kicking off later today at the McEnery Convention Center in San Jose, which is approximately 8 miles from the Apple Park headquarters.